Mike Schmaltz was the first place winner in the first Minot Berry Acres Pumpkin Patch weigh off. 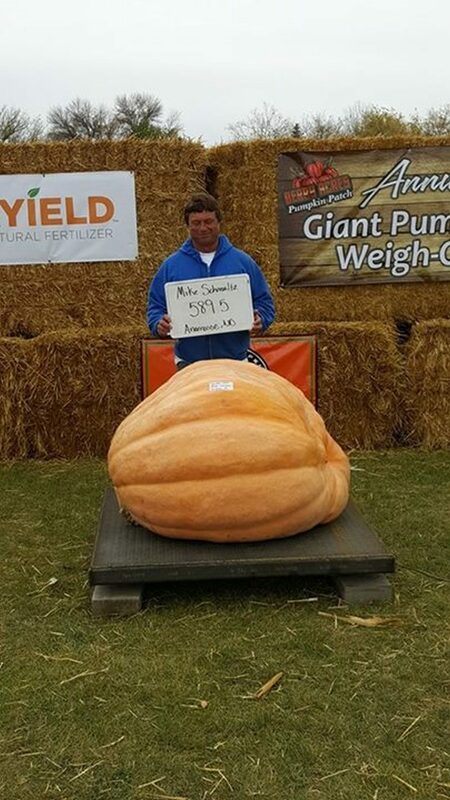 Mike’s pumpkin weighed 589.5 lbs. It beat the second place winner, Carter Tengesdal from Westhope by 4 lb.